Partaking in these amazing tours in Sung Sot Cave and in the Dark and Bright Lagoon, travelers will feel like being a real film star as you imagine the movies that have been made in this spectacular bay as you are in the boat floating along under the sparkling evening stars. Not only being able to get the bird’s eye view from above when being in your seaplane, you will also get a more in depth look into the beauty of Halong Bay. 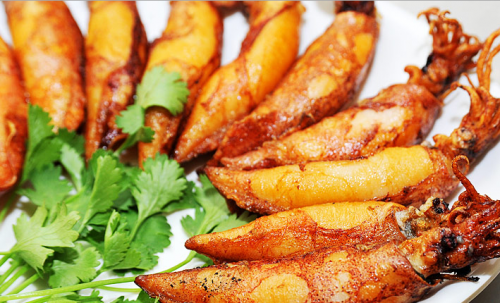 Going with the Bhaya Cruise, you will have a chance to ride on a Vietnamese traditional junk ship and try out some of the interesting activities like night squid fishing or tai chi. Once again, Hai Au Aviation operates their most sophisticated cruise, which is the best option for more mature-minded travelers. 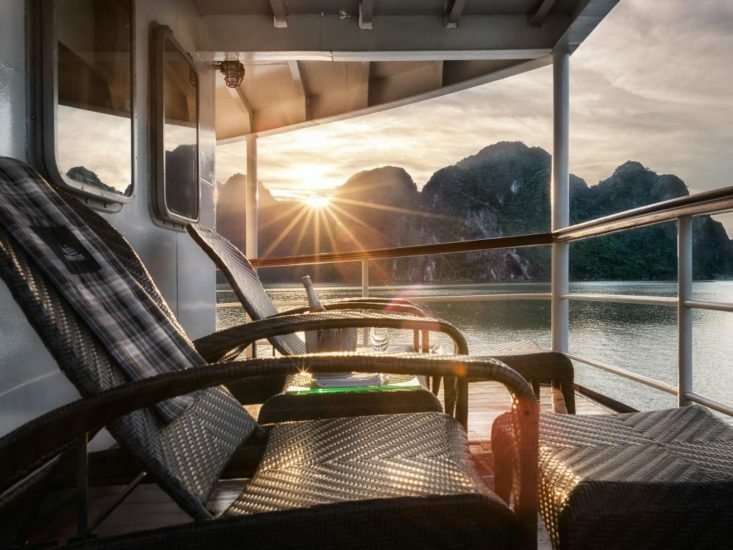 Besides the seaplane flight over the Halong Bay’s islands, travelers will be experiencing cruising aboard the 4-star Emeraude cruises. Besides the influence of glamour, including the unforgettable moments from the Bhaya overnight and adding and a crepe station and canapés that this ship specializes in, you will also notice a touch of European fusion as you watch Indochine starring French legend Catherine Deneuve or follow your canapés with a Vietnamese fresh spring rolls cooking class. In the wintertime, you can ride a bamboo boat to Luon Cave and in the summertime, you can enjoy kayaking and swimming at Dau Trau islet. Alternatively, you can take a cocktail to the deck and see the scenes of so many movies filmed in the area thanks to its sultry and splendid scenery. This tour leaves its grand mark of maturity and sophistication from seaplanes to splendor. 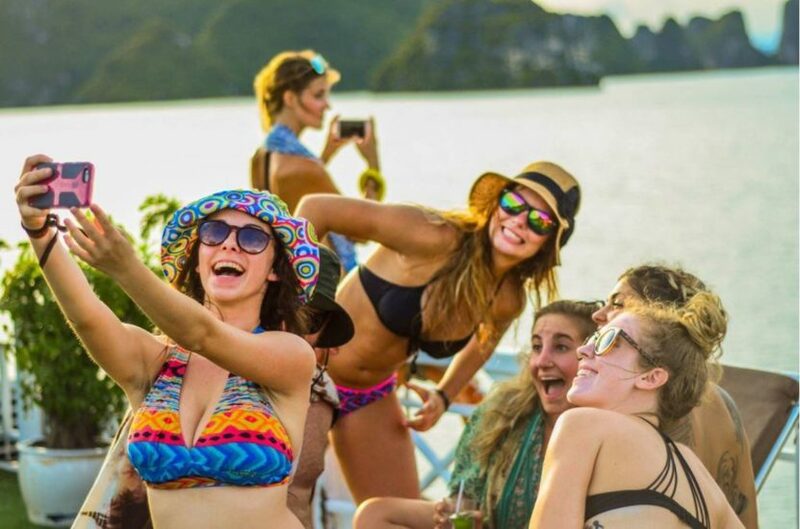 The Oasis Bay Halong Party Cruise is right up your alley for the vivacious and energetic at heart. This tour, from one to three night options, embraces adventure and fun, socializing and nightlife. 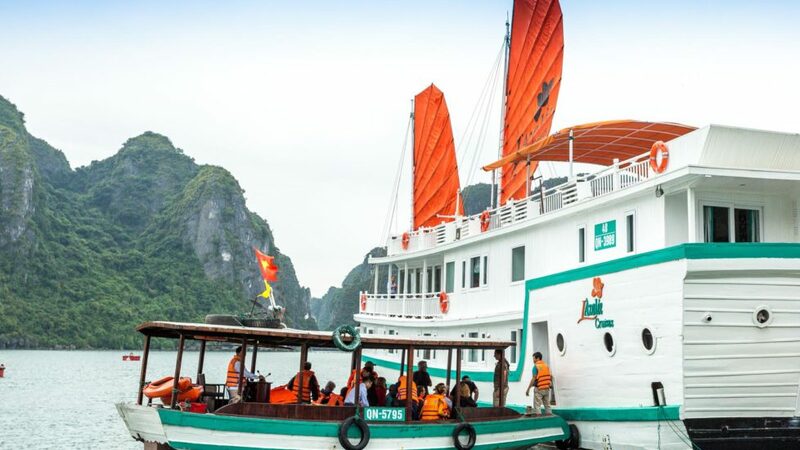 Leaving Hanoi, a bus ride will take you to your party junk boat, which is ready to bring you around the Halong Bay landmarks. You can go spelunking, snorkeling, kayaking or swimming in the day, passing by Duck Islet, Swan Isle, seeing Lan Ha Bay lagoon and Freedom Island. After a long day taking part in a lot of activities, make sure you put on your dancing shoes to enjoy party time from 8PM on. However, this cruise will not be a hit so much as a miss if you are not up for a night or two of partying hard. It is perfect for getting into the swing of things and meeting some new fellow globetrotters and economically affordable for many younger backpackers or travelers. This is the best part about this cruise! Many people travel to Southeast Asia with the hope of fitting in as much of the postcard-like countryside as humanly possible. Even those who have the luxury of staying for many days or weeks may plan a number of activities and just a short time in Image Halong Bay. 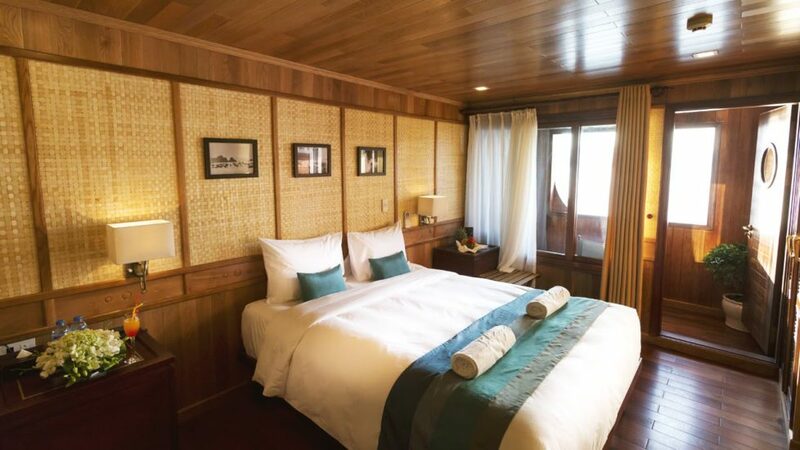 As a result, a day cruise to Hanoi and back is one of the most sought after excursions. The Hai Au Aviation package, which combines a seaplane flight with a one day trip, is one of the best choices on the market these days. Hai Au Aviation is the one and only seaplane company to offer a unique transportation experience flying above the clouds from or to Halong Bay and Hanoi. In addition to the awesome sights that you will see when you are gliding through the air, how much faster it compares to ground travel is the other main benefit of this type of commute. After a short 45-minute flight, you will be having a Vietnamese styled meal offshore before sailing around L’Azalée Cruise. 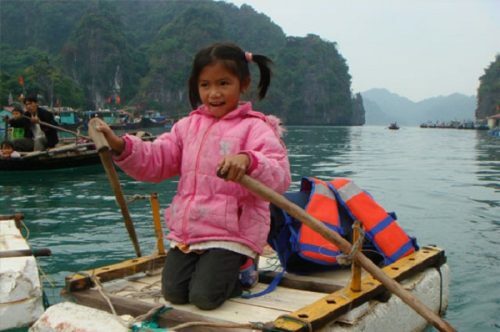 The typical Halong sights such as Thien Cung Cave and Ba Hang Floating village will be included in the tour. Even though due to the momentous seaplane experience, this tour is a bit more expensive than some other day tours, you will save half of travel time.